Diablo Lake is one of several reservoirs in the Cascades used to produce power for Seattle. there was nothing, and then. 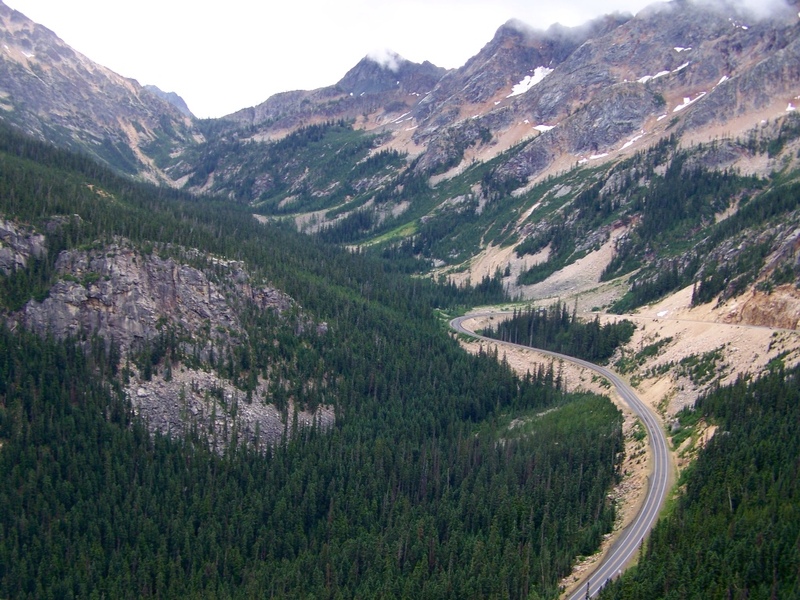 . .
Highway 20 from the Seattle area climbs into the northern Cascades and is part of the Cascades Loop, a 400-mile scenic drive. 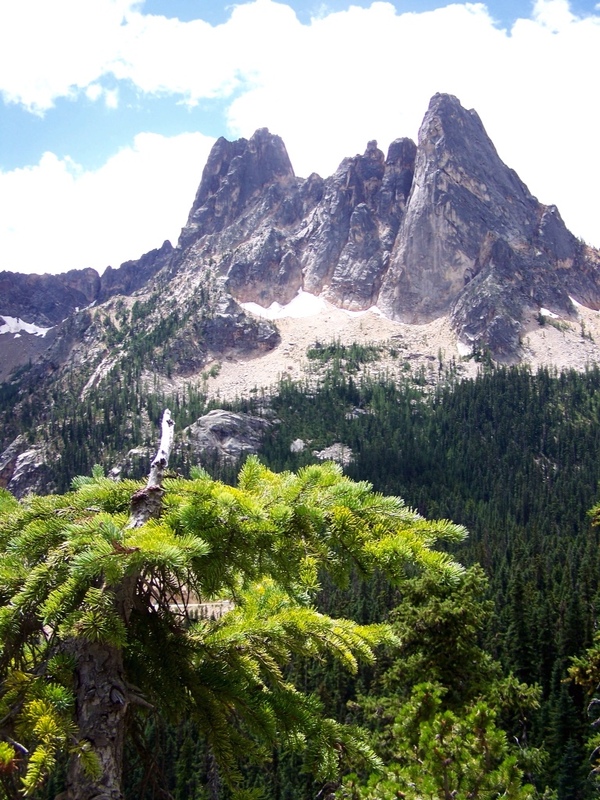 Liberty Bell is the peak as seen from Washington Lookout, the highest point on the drive. The Skagit River, below, is dammed several times. 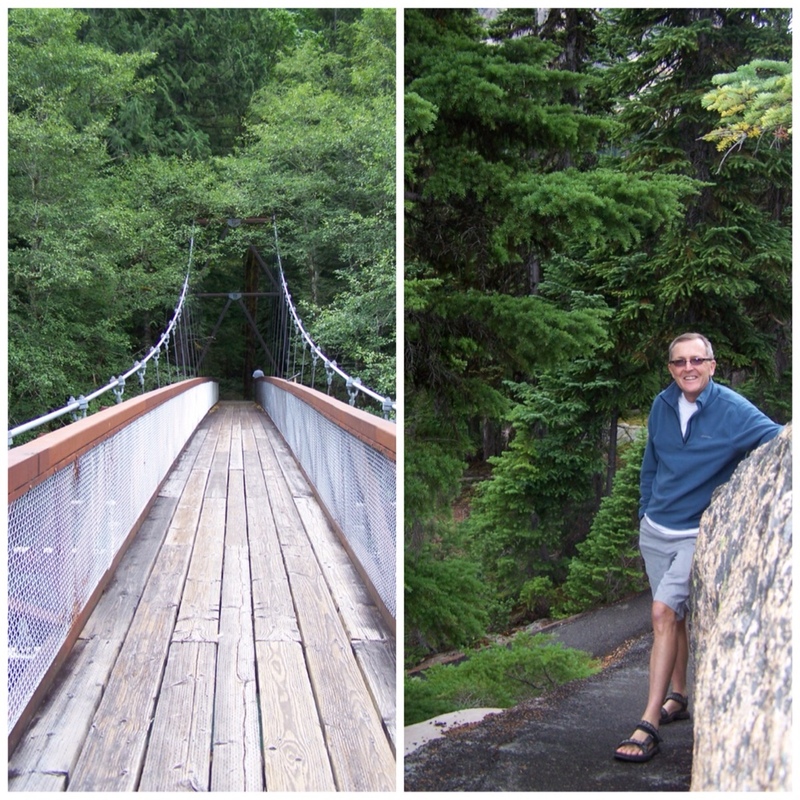 The suspension bridge leads to a rain forest-like walk along the river. Thank you, Cynthia. I thought of you when I saw the poem, expecting that you would like his work. Spectacular! 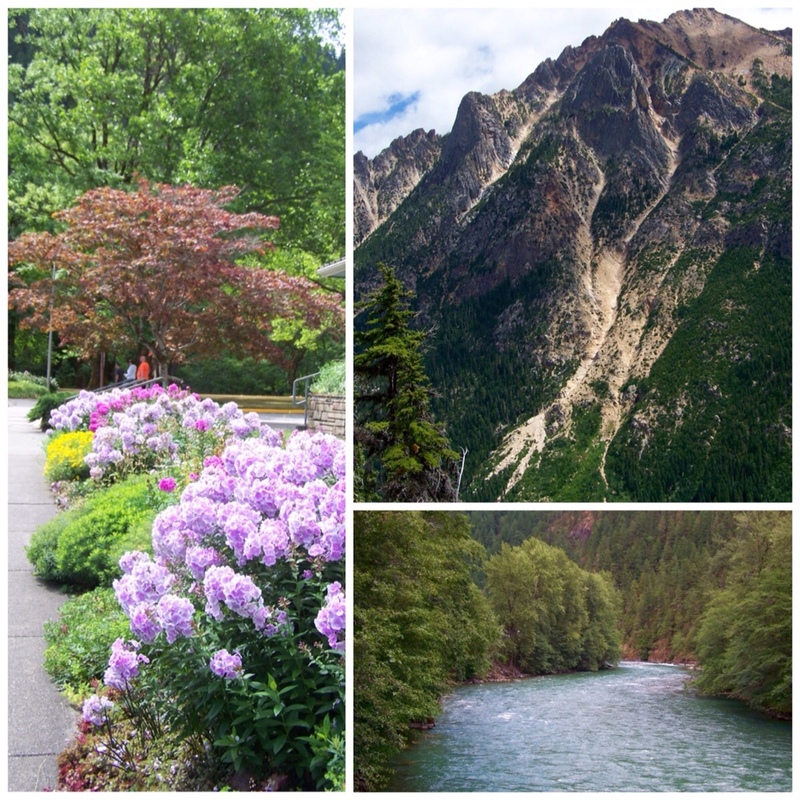 N Cascades- some of the hardest and best hikes we’ve ever done, and a few hairy drives too. The poem is perfect. Stafford nails it! Thanks. Nice to hear from you, Pat! We did not have time to do much hiking…perhaps that is for the best, for now at least. Hi to Greg! Such a beautiful collection of photos- love seeing what you share on your blog!